Key challenges for train/metro operators are increasing traffic volumes, ensuring passengers safety and security during their journey, as well as providing real time multimedia information and access to social networks in stations and tunnels. To meet these requirements various broadband telecommunication networks based on WiFi, GSM-R, LTE need to be put in place. 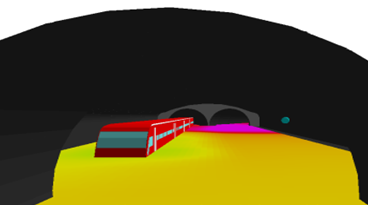 This webinar will show how WinProp is used for the wireless network design and deployment in various railway scenarios including tunnels and metro stations, inside train wagons, as well as along railway tracks. Both antennas and leaky feeder cables can be deployed in the 3D environment of the station/tunnel scenario including the train. To learn more, fill out the form to the right to register for the webinar!